The EuroSciCon will be holding its CPD accredited for Dental Public Health & Dental Hygiene conference August 16-17, 2018 Madrid, Spain.The theme of this year’s meeting is “Advancements in Oral Care & Dental Health through New Innovative Approaches” which will provide an international platform for discussion of present and future challenges in Dentistry, prevention and treatment of Dental problems, new inventions in technology. World-leading health practitioners, clinicians, educators and researchers will present cutting-edge and practical clinical techniques based upon widely accepted evidence and will introduce new and emerging research. Dental Public Health includes international attendee workshops, lectures and symposia, including a designated registration area, a refreshment break and gala lunch. Dentists can join the Euroscicon as an international member to receive discounts on registration. So come and join leading experts and allied professionals from 16-17 August 2018 in Madrid, Spain to keep up with the rapidly accelerating pace of change that is already having an impact on the field of Dental & Public Health, and will continue to in the future. Dental Public Health-2018 Conference will be held in Madrid, Spain, EUROPE. Madrid is the capital city of Spain and the biggest district in both the Community of Madrid and the Kingdom of Spain. It has a territory of 604.3 square kilometres (233.3 square miles). The city has a populace of just about 3.2 million with a metropolitan territory populace of roughly 6.5 million. It is the third-biggest city in the European Union, after London and Berlin, and its metropolitan territory is the third-biggest in the European Union after those of London and Paris. Madrid has present day framework, it has protected the look and feel of a large number of its notable neighbourhoods and avenues. Its points of interest incorporate the Royal Palace of Madrid; the Royal Theatre with its re-established 1850 Opera House; the Buen Retiro Park, established in 1631; the nineteenth century National Library building containing some of Spain's authentic chronicles; countless museums, and the Golden Triangle of Art, situated along the Paseo del Prado and involving three craftsmanship galleries: Prado Museum, the Reina Sofía Museum, a historical centre of current workmanship, and the Thyssen-Bornemisza Museum, which finishes the deficiencies of the other two museums. Cibeles Palace and Fountain have turned out to be one of the landmark images of the city. Dental Public Health invites participants from all leading clinics, universities, clinical research institutions and dental companies to share their research experiences on all aspects of this rapidly expanding stream and thereby, providing a showcase of the latest research and provide a better health care to the world. This is designed for practicing dentists, nurses, physicians in training and other oral healthcare professionals interested in the latest advances and techniques in the field. Another segment of participants are Dental researchers, Dental educators, Clinical organizations, Educational institutes, and Business leaders in the health sector worldwide. Prosthodontics is primarily a dental speciality concerned for restoration and replacement of lost or damaged teeth and maxillofacial tissues then this also deals with the appearance and health of the paient. Prosthodontist will provide multi-disciplinary level of care, treatments that negatively affect the mouth and smile, Prosthetic dentistry is one of the dental specialities recognized by various associations and the treatments includes Advanced Esthetic reconstructive Dentistry maximizes the structural and functional connection between the dental implant. Periodontics is a branch of specialized dentistry that includes dental speciality focusing in the inflammatory disease that destroys the gums and other structures supports your teeth. Periodontology also involves in the placement and maintenance of dental implants and the etiology of Peri-implantitis are thought to be very similar to periodontal disease. Periodonist offer a variety of treatments, such as scaling, root planning and also perform surgical procedures for patients with severe gum disease. Paediatric dentistry is a branch of dentistrythat dealing with children from birth to adolescence as well as dental health education related to paediatric dentistry were given to the parents by paediatric dentists for creating awareness about the children dental health. Especially Infant oral health, Habit counselling and care of dental injuries. The speciality of paediatric dentistry was recognized by associations worldwide. The uncontrolled growth of the cell that invades and damage the surrounding tissue is called cancer. Oral cancer appears as a growth or sore in the mouth that will not go away. This oral cancer is also includes modifiable behaviours such as tobacco and alcohol consumption. Dentists deals with variety of diagnosis for oral cancer include Velscope, Vizilite plus. Maxillofacial surgery is one of the special treatments in dentistry for treating the problems related to the hard and soft tissue of the face, mouth and jaws. It is specializes in treating much disease, injuries and defects. One of the procedure performed by oral surgeons are corrective jaw surgery. The oral specialists can also set a solid foundation for restorative and cosmetic dental work, including the placement of dental implants. Endodontic is the study of clinical and basic science of biology of normal dental pulp and the diagnosis, etiology, prevention and treatment of injuries and disease of dental pulp. It’s performs a variety of procedures including dental trauma, endodontic retreatment surgery and endontists. 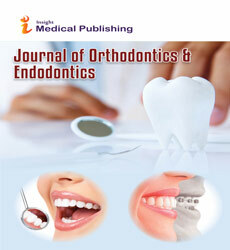 Much national organization recognized the endodontists as a speciality in tooth. They were using several techniques related to Endodontics. Cosmetic dentistry is commonly used to refer to any dental work that improves the appearance of teeth, gums and bite. Many dentists refer to themselves as cosmetic dentists regardless of their specific education, training, speciality and experience in this field. Cosmetic dentistry primarily focuses on improvement dental aesthetics in shape, size, position, colour and overall smile appearance. A dental inlay or onlay is bigger than a filling and smaller than a crown. It is bonded or cemented into place. So many maxillofacial Surgery is comes under cosmetic dentistry. Geriatric dentistry or Geriodontics is delivery of older people dental care involving the diagnosis, treatment and prevention of problem associated with normal aging and age-related disease. Geriodontics is a part of interdisciplinary team with other health care professional. The dental disease that the elderly are particularly prone to root caries, attrition, periodontal disease, missing teeth because of earlier neglect, oral cancers, mucosal lesions, oral ulceration, poor quality of alveolar ridges and rampant caries. The dental practice need to constantly look at the available option now dentists can offer patient’s advanced choices like Esthetic dentistry, laser dentistry implant dentistry and digital dentistry. They continue to change, particularly because of the advances in clinical dentistry, technology and materials. These changes offer opportunities for both dental practices and patients. Oral hygiene is the practice of keeping one’s mouth clean, free of disease and other problems by regular brushing and cleaning between the teeth. The most common types of dental disease are tooth decay and gum diseases, periodontitis and including gingivitis. 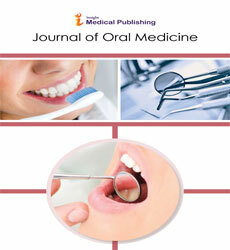 It is important that oral hygiene be carried out on a regular basis to enable prevention of dental disease. Oral health is a state of being free mouth and facial pain, oral and throat cancer, oral infection and sores, periodontal (gum) disease, tooth decay, tooth loss and disorders that limit an individual’s capacity in biting, smiling, chewing, smiling, speaking and psychosocial wellbeing. Dental sleep medicine is an area of dental practice that focuses on the use of oral appliance therapy to treat sleeps disordered breathing, including obstructive sleep apnoea (OSA) and snoring. Dentists work together with sleep physicians to identify the best treatment for each patient. Over one third of the population has no access to community water fluoridation which causes serious oral health problems. Dental care is important to prevent dental disease and to maintain proper dental and oral health. Oral problems, including dental and periodontal infections, dry mouth, tooth decay, are all treatable with proper diagnosis and care. Over one third of the population has no access to community water fluoridation which causes serious oral health problems. Abrasion or wearing away of the tooth structure. 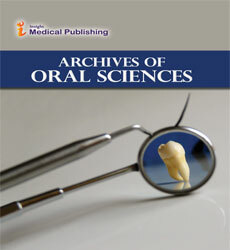 The main aim of this dental research studies is to explore the research in all fields of oral and related sciences, to encourage improvements in methods for the prevention and treatment of oral and dental disease, also to improve the oral health of the public through research, and to facilitate cooperation among investigators and the communication of research findings and their implications through the globe. 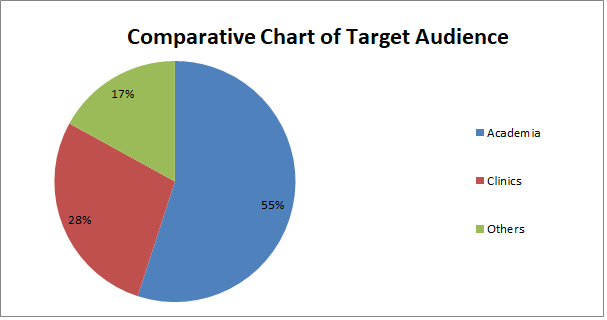 Every interaction between your dental practice and a patient is a component of marketing. In some cases, this will encompass concrete details like the way your office staff answers the phone or the list of services you offer. In other cases, it will rely on more diffuse elements like the way your logo looks or the layout of your waiting room. But in subtle yet powerful ways, all of these cues establish an image of your practice in the minds of your patients. To review and analyse the current scenario of public health dentistry and keeping in view the production, employment, and distributional patterns of public health dentists. Enlighten the role of dental tourism in promoting public health, conduct of mobile dental van (MDV) programs in various institutions, and status of research in DPH. As indicated by the report, rising expendable earnings of patients combined with developing dental care mindfulness will drive the dental gear showcase in the creating Asian nations. In the created areas of North America and Western Europe, showcase development will be driven for the most part by the maturing populace having a yearning to hold characteristic tooth structure. Dental Marketing getting to be distinctly essential to all the world dental specialists. Dentistry is considered as private segment treatment in Italy, as just 4% of dental care is given inside the NHS. As indicated by a recent report (Servizio Studi ANDI) in view of ISTAT information, 39.7% Italians went to a dental specialist at any rate once per year, contrasted with 11.5% who never went by. Private dental consumption was evaluated in 2013 to be about €10 billion. It has been assessed that Dental administrations in Italy are given through a system of 56,000 dental practitioners and business research centres are dynamic, with 11,520 dental professionals working either as proprietors or representatives. In Italy, most dental practitioners who hone all alone or as little gatherings, outside healing centres or schools, and give an expansive scope of general medications are said to be in "Private Practice". 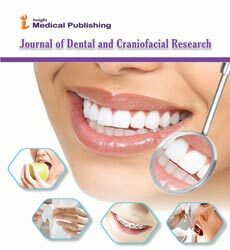 The professors, dentists, researchers, clinicians, educator, marketing and students from academia in the study of dental caries and periodontal disease. 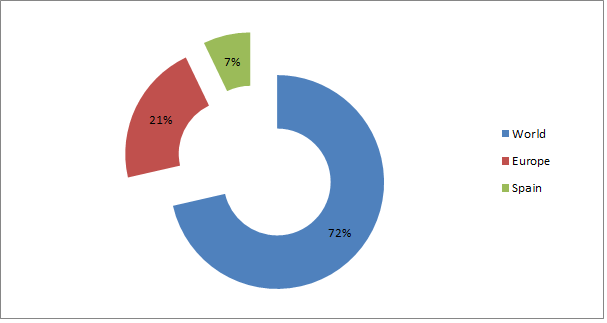 The worldwide dental gear showcase income is required to increment from USD 6,081.4 million in 2013 to USD 8,453.7 million by 2020, developing at a CAGR of 4.9% from 2014 to 2020. 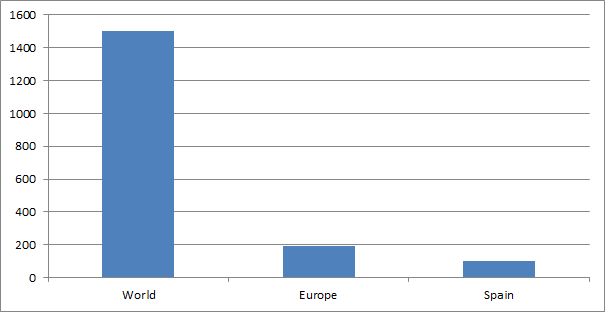 Costs crosswise over Europe for dentistry along these lines fluctuate broadly between individual nations and are likewise connected to the monetary advancement and status of each State The worldwide dental hardware market is anticipated to show a compound yearly development rate (CAGR) of 9% to reach over $13 billion by 2016, The dental gear market is fuelled not just by the aversion and treatment of malady, additionally in vast part by restorative dentistry, which sees a yearly use of $2.75 billion in the only us. Tooth brightening techniques bear witness to taking off interest for restorative dentistry, with a 300% expansion in the course of recent years. The worldwide dental inserts market is relied upon to develop from $3.2 billion in 2010 to $5.8 billion in 2016 at a CAGR of 6% from 2011 to 2016. Europe as of now structures the world's biggest market for dental inserts with a 52% piece of the overall industry, and is additionally anticipated that would have the most noteworthy CAGR 7.0% from 2011 to 2016. 22nd International Dental Education Conference April 9-10, 2018 Amsterdam, Netherlands; 26th Euro Dentistry Congress August 16-18, 2018 Madrid, Spain; International Dental & Dental Hygiene Conference March 26-27, 2018 Edinburgh, Scotland; 23rd International Dentistry and Dental Practice Conference May 24-25, 2018 Vienna, Austria; International Dental & Dental Hygiene Conference March 26-27, 2018 Edinburgh, Scotland; 23rd International Dentistry and Dental Practice Conference May 24-25, 2018 Vienna, Austria; International Dental Public Health Conference August 16-17, 2018 Madrid, Spain; International Dental Treatment conference Sept 10-11, 2018 Prague, Czech Republic; International Advanced Dental Care Conference October 08-10, 2018 Moscow, Russia; World Dental and Oral Health Congress June 4-6, 2018 Copenhagen, Denmark; Radiation protection course for dentists conference 06- 08 Nov 2017 Essen, Germany; International Dental Science and Research Conference October 18-19, 2018 Warsaw, Poland. International American World Dentistry Conference November 13-14, 2017 San Antonio, USA; 29th Annual American Dentistry Congress March 22-23, 2018 New York, USA; 30th American Future Dentistry Conference 2018 April 02-03, 2018 Miami, USA; 3rd International Prosthodontics & Restorative Dentistry Conference April 16-17, 2018 Las Vegas, USA; FDI World Dental Congress September 5-8, 2018 Buenos Aires, Argentina. 39th Asia-Pacific Dental and Oral Care Congress October 26-28, 2017 Osaka, Japan; 31st International Dentistry & Oral Care Conference May 21-22, 2018 Singapore City, Singapore; Advancing Excellence in Dental Education 16-18 November 2017 Riyad, Saudi Arabia; 52nd Indian Orthodontic Conference 17-19 November 2017, Jaipur, India. AmannGirrbach | Castellini | Coltne/Whaledent | Dentatus | Euroscicon | Dumont Instruments & C N.V. | Drr Dental GmbH & Co. | Ivoclar Vivadent | KaVo Dental Corporation | Larident Srl | Nobil-Metal | Dental Conferences | Ormco Europe | Peri-dent Ltd. | Planmeca Oy | Protesis | Renfert | Dental Conferences 2018 USA | Ruthinium Group | Safina | Dental Conferences 2018 Europe | Schtz Dental Group | Dentistry Conferences | Sirona Dental Systems | Tecno Cer | Tecno-Gaz | TeKne Dental | Toros Dental | Dental Conferences 2018 | Unidesa-Odi | VDW | Vertex-Dental | VITA Zahnfabrik H. Rauter Co. | Dental Conferences 2018 Europe | Vitali | W&H UK Limited | XO Care | Bien-Air Medical Technologies | GlaxoSmithKline | Ivoclar Vivadent | Kolibree | Nobel Biocare | Odontis | Omega Pharma | Osstell | Straumann | Unilever | W&H Dentalwerk. Dental explorer | Periodontal probe | Retractors | Dental syringe | Euroscicon | Dental drill | Dental laser | Dental torque Range | Euroscicon | Restorative instruments | Dental Conferences 2018 | Burnishes | Pluggers | Periodontal Scalers | Prosthodontics instruments | Dental Forceps | Brakete holder | Band busher | Methiose | Band Seter | Dental Conferences 2018 USA | Haemostat/Mathieu pliers | Dental Conferences | proximators | Roungers | Needle Holders | Dental Conferences 2018 Europe | Scissors | Periotomes | Luxating Elevators | Bone Currettes | Retractors | Benex Extraction System | Dental Conferences 2018 | Bone Files | Dental Conferences 2018 USA | Mouth Gags | Aspirating Syringes | Gingival Retractors | Bone chisels | Dentistry Conferences | Gingival Knives | Mallets | Tissue Ronguers | Towel Clamps | Periodontal Pocket Markers | Bone Clamps.